Built on the technology that brought the cryptocurrency Bitcoin to market, blockchain promises to usher in a huge paradigm shift for the Canadian financial services industry. Market-intelligence firm Tractica estimates that by 2025, enterprise applications of blockchain will increase to US$19.9 billion globally, up from US$2.5 billion in 2016. Blockchain—a decentralized transaction ledger that maintains a list of ordered records called blocks—enables financial services firms to share digital ledgers without requiring a centralized system manager, and allows the secure, direct digital transfer of value and assets (money, contracts, stocks and more). With built-in autonomous validation, the blockchain architecture ensures that all transactions are recorded and time-stamped. Data is guaranteed to remain intact in its then-current form, but the technology provides the capability of creating versions throughout the entire lifespan of the records. Blockchain technology is also cryptographically secure. Due to its open and decentralized platform, it cannot be corrupted by hackers. Third party solution providers. 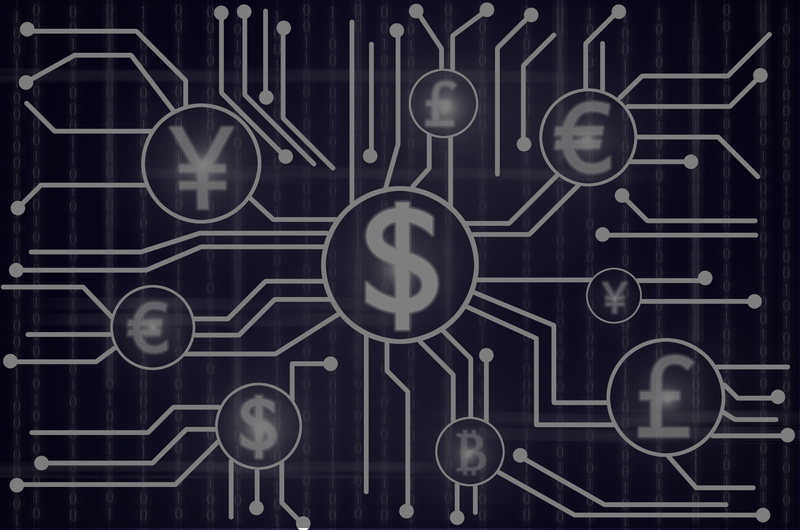 Financial technology companies, such as DAH, Ripple and Multichain, are working alongside banks and other financial services firms to enable real-time payments across borders. Consortiums such as The Hyperledger Project(an open source project to advance the blockchain digital technology for recording and verifying transactions), R3 (a group of 42 organizations committed to conducting research into the use of blockchain technology), and B3i (a group made up of five insurance giants that are piloting blockchain technology to establish its viability for insurers and reinsurers) are innovative company partnerships that are propelling the adoption of blockchain. In Canada, blockchain is already a big deal in the financial sector. Our team is already busy working with banks exploring its uses. As Lisa Christofilos on my team will tell you, those uses are many, including ledgers for cross-border payments, allowing settlements in seconds and expanding access to global corridors, and real-time confirmation of transfers and competitive foreign exchange rates. The Bank of Canada, for example, which has its own digital currency, is working with five of the largest Canadian banks to test a prototype system that would allow for wholesale interbank payments. CIBC has partnered with banks in Israel and Australia to collaborate on blockchain technology and test it. Using Ripple, the partners successfully transferred money between banks in Canada and Australia and back again. And ATB Financial has initiated the movement of $1,000 to a German bank using blockchain technology—a transfer that took just eight seconds to complete. Consider the findings of Accenture’s research report Banking on Blockchain: A Value Analysis for Investment Banks. There is compelling evidence that blockchain could radically reduce, if not entirely eliminate, many existing clearing and settlement processes. It has enormous implications for trade confirmations, reconciliation, cash management, asset optimization and other exceptions based business logic processes that cost billions a year. These along with other time- and cost-effective processes enabled by blockchain technology could bring sustainable improvements in profits back to banks. But it’s not just banks that are planning to take advantage of blockchain. Canadian insurance giant Manulife is testing blockchain for wealth management services with the potential of extending it to the company’s asset management and insurance business divisions. What opportunities lie ahead for Canadian financial services companies? Some of the most promising use cases for blockchain include payments, clearing and settlement, trade finance and peer to peer networks in insurance. While Blockchain is often touted as simplifying inter-company transaction flows, it can also be applied within a company. For example, the post trade process involves touching multiple databases—compliance, accounting, risk, clearing etc. Think of the efficiencies gained if all of the steps in this process touched the same chain, and it does not require collaboration outside of the bank. But blockchain is not simply about increasing efficiency or making money—it’s also about opening up avenues to new products across the financial services industry. FinTech companies, for example, are expanding the consortium of banks and financial institutions, enabling Canadian banks to leverage a solution in payment activity with other participating financial institutions. This will result in reduced transaction costs, including operations costs, correspondent fees and processing fees. Incorporating a near real-time distributed ledger solution into the payments flow means faster, more efficient transactions and increased customer satisfaction resulting from improved transparency and a decrease in reconciliation costs. And the nature of the cryptographic technology ensures a “digital fingerprint” of personal identification that can alleviate fraud concerns. Blockchain technology is bringing a brand new cutting-edge ecosystem to the Canadian financial sector. Financial services firms that do not embrace this technology risk losing out on opportunities to reduce costs, improve services and create a lasting relationship with digitally-oriented customers built on trust. In my next post, I’ll take a look at the true power of blockchain when integrated with other technologies for banking and insurance.